This 50th issue cover was chosen by Matt "The Electric Monkey" of Rebel Radio. 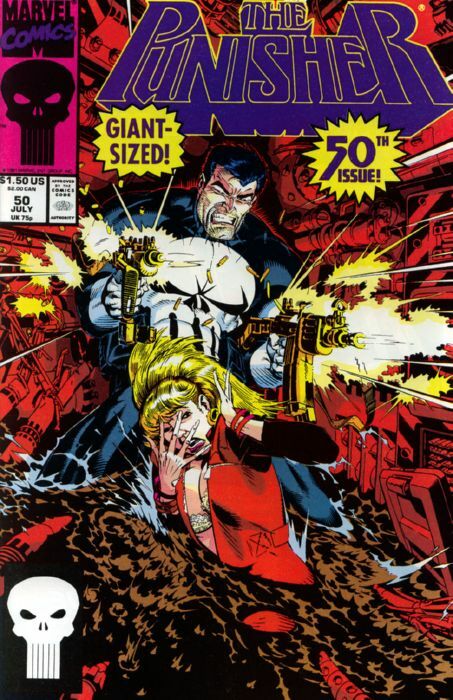 He of course is a huge Punisher fan and this cover epitomizes what the character of Frank Castle is about. Big freaking guns and mayhem. Youw on't see The Punisher saving animals or posing for romance on a cover of his comic book. You read a Punisher book and you expect a lot of what this cover shows. Chaos, death, destruction, and not much left in his trail.